This past Friday, September 6th, current WBA/WBC Junior Middleweight Champion Saul “Canelo” Alvarez participated in the WBC’s mandatory seven day, pre-fight weigh in and surprised the scrutinizing boxing media by scaling in at an impressive 157.4 pounds. With only 5.4 pounds left to drop before the big Friday the 13th weigh-in ceremony, which is slated to be held at the MGM Grand in Las Vegas, Nevada, at 3PM PST, most speculating fight scribes believe that Canelo will have very little trouble making the negotiated catch weight of 152 pounds. Former Super Middleweight and Light Heavyweight contender “Iceman” John Scully insists that Canelo’s road to the scale will be anything but easy. Although 5.4 pounds doesn’t seem like much weight for a prizefighter to lose a week before the fight, the insightful boxing coach claims that it depends entirely on how well Canelo’s body reacts to the weight loss. If Canelo finds himself in this situation just hours before the scheduled weigh in, expect the 23 year old fighter to do just about anything to shed any added weight off of his body. John Scully expounds on this idea. While most boxing pundits are assuming that Canelo will be the bigger and sturdier fighter this Saturday night, the “Iceman” warns every fight fan not to be surprised if the artist formerly known as Pretty Boy Floyd appears to be the stronger man in the ring on September 14th. Will Canelo be able to make the contracted catch weight of 122 pounds this Friday the 13th? We’ll find out at 6PM EST/3PM PST in Las Vegas, Nevada. 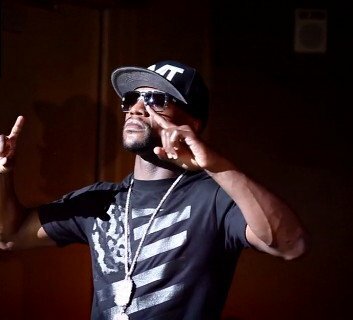 Next boxing news: Will Fighting More Often Have An Effect On Mayweather Jr.?